Sorry for missing last weeks party! I was so impressed with myself at keeping the party rolling even while I was in Europe and then I didn’t have access to Internet last week at our regular party time. : ( But hey…..I did relax and enjoy spending time with the kids and hubby! So, let’s get this party back up. It’s limping a tad and I am ready to get it back to where it was. Here were some favorites that deserve to be spotlighted! The Concrete Cottage surprised her daughter with a gorgeous vanity makeover. 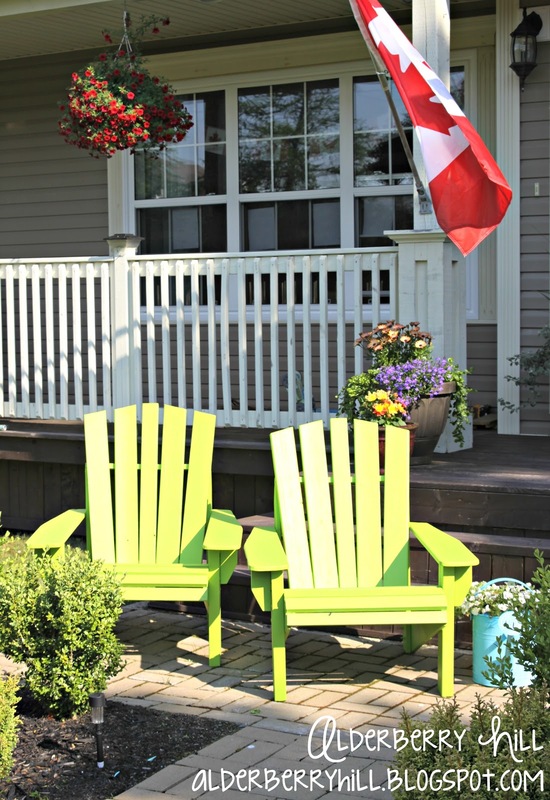 Alderberry Hill shared her re-do of her Adirondack chairs. Now they pop! Love the transformation! I love this blog name. You And Me Are We….cute! She shared a great stain remover for carpets! 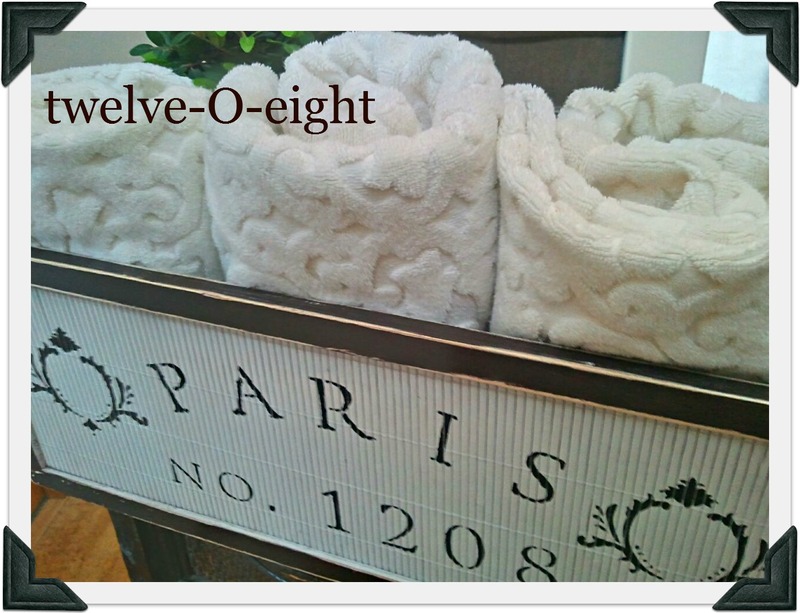 Twelve-O-Eight shared an awesome shabby Paris towel holder. Love her towels by the way! So scrumptious! I can’t wait to see what you have been up to! Don’t forget to link up at these other great Monday parties after hanging out here! * Say hey to the two links up’s before yours (Share the love and tell them you saw them here!) We all love comments and meeting new friends. ← Soap Scum Miracle ! Meet Me Monday Mother’s Day Party! Glad you got some quality time with your family!! Thanks so, so much for featuring my daughter’s vanity. I greatly appreciate it! 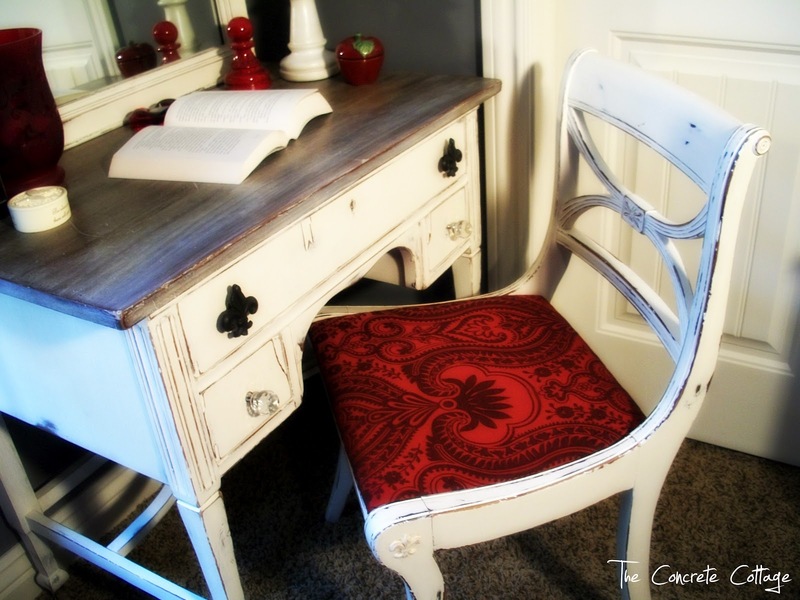 beautiful features – that vanity is a stunner!! Welcome back and thanks for hosting! We’re glad to have you back, and thanks for hosting! Hi! Just saw your link party at At The Picket Fence. I have a linky party happening every Friday. Hope you could join in too! Thanks for hosting. I am your newest follower!